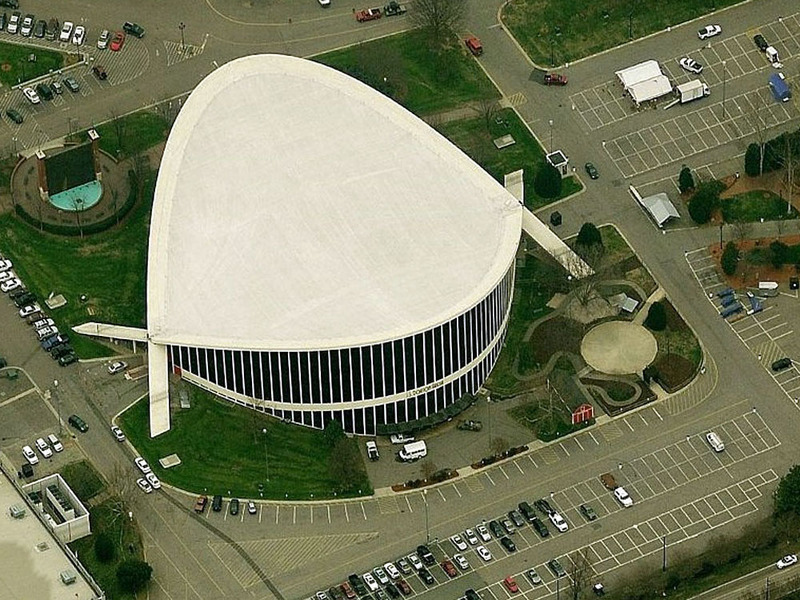 On my way to a hardware store in Raleigh, literally by chance I discovered the Dorton arena. The 25,000 sf/2,322 m2 structure, the brainchild of Polish architect Maciej Matthew Nowicki, then head of NCSU's Department of Architecture, boasts the world's first cable-supported roof system. 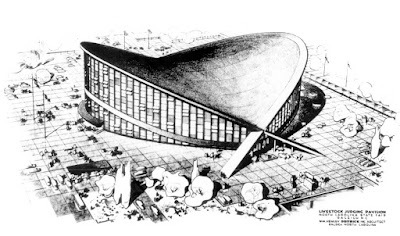 Sadly, Nowicki was killed in an airplane crash before the construction began, so local architect and friend William Henley Dietrick supervised the completion. 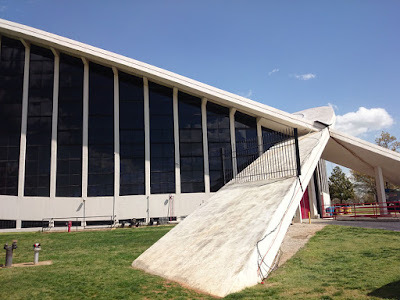 The building's innovative design features a steel-cable-supported saddle-shaped roof in tension, held up by parabolic concrete arches in compression. The arches cross about 20 feet above ground level and continue underground, where the ends of the arches are held together by more steel cables in tension. Because of the innovative approach, the outer walls of the arena support nearly no weight at all, and the suspended roof eliminates any necessity for structural steel supports and presents no view obstructions from any seat. Located on the grounds of the North Carolina State Fair, the arena with a seating capacity of just over 6,500 opened in 1952. 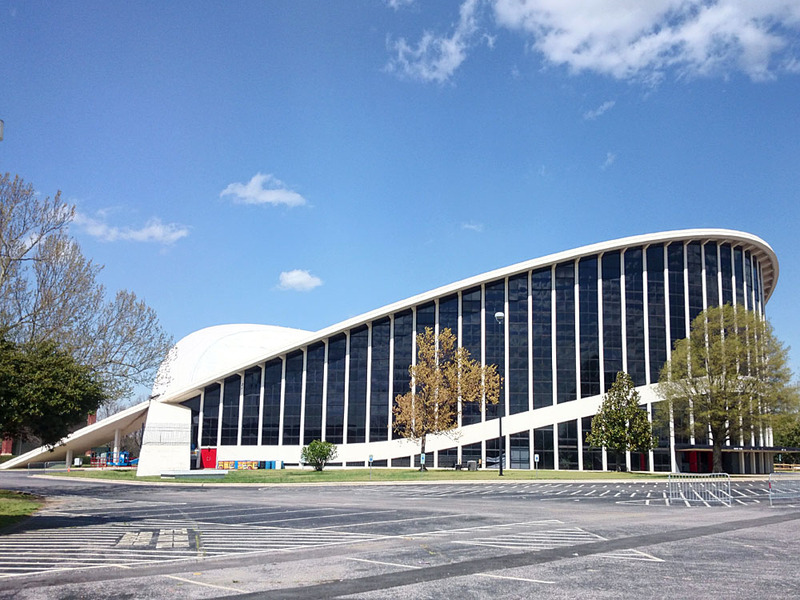 Originally named the "State Fair Arena", it was dedicated to Dr. J. S. Dorton, former North Carolina State Fair manager, in 1961. 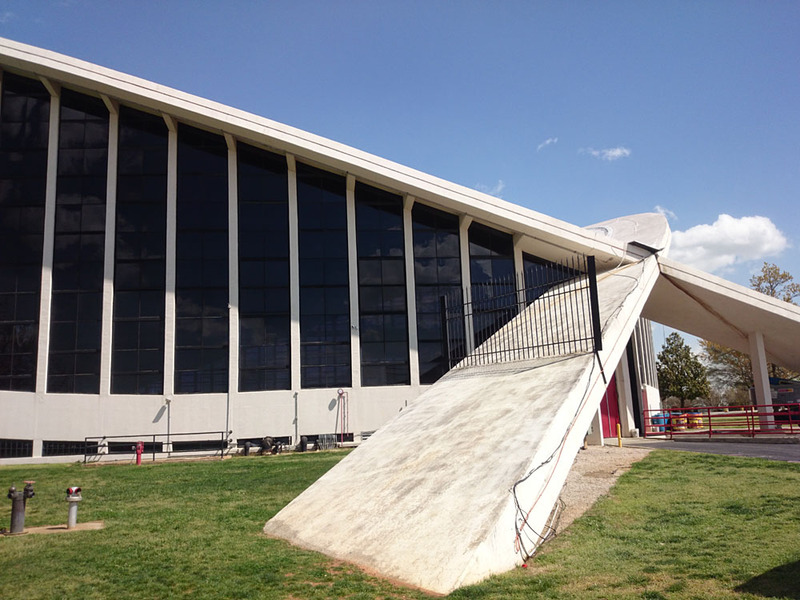 The building made the National Register of Historic Places and the List of Historic Civil Engineering Landmarks. While Dietrick's rendering shown above calls it "Lifestock Judging Pavillion", the arena holds multiple types of events including music concerts during the state fair, and is currently the home base for the Carolina Rollergirls roller derby team. During a slightly more glamorous past, notables of the music scene such as Ray Charles (1962), Jethro Tull (1972), Lou Rawls (1967) and Prince (1982) played here. Have you been at the arena during a concert? How was it?